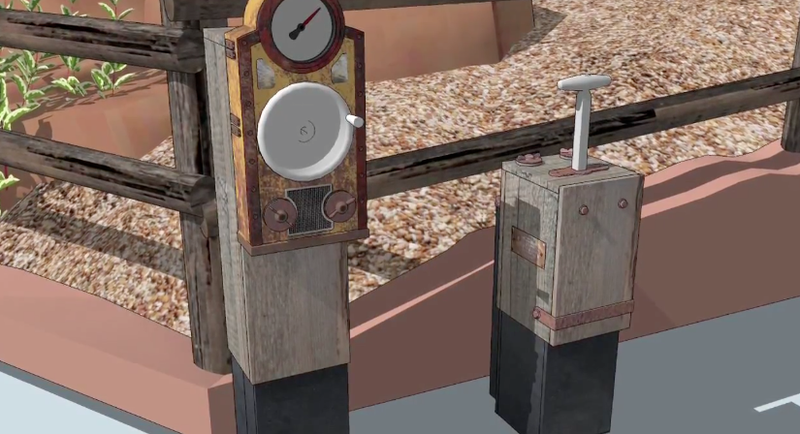 Earlier today, the Disney Parks Blog revealed a first look at the new interactive features coming to Big Thunder Mountain Railroad’s queue at the Magic Kingdom. The new interactive queue will take guests on the backstory of the mining company including a look at the Mining Office, Explosives Magazine Room, and even the Ventilation Room. In the video above, Project Manager Wyatt Winter and Creative Designer Pete Carsillo show a behind-the-scenes tour of the upcoming additions to the attraction. The backstory starts with information on Barnabas T. Bullion, founder and president of Big Thunder Mining Company. Guests are then taken into the Mining Office to view the miner’s schedules, the Magazine Room, where they can set off explosives in the attraction itself and even get a video peak at the miners working deep down in the mines in the Performance Room. While there is no official opening date announced yet, it is said to debut in the next few weeks. Stay tuned to Orlando Attractions Magazine for this exciting new addition to a classic attraction. This is a great addition to the Big Thunder Mountain queue! I love it when Disney brings in great updates like this that are consistent with the previous theming and storyline, rather than just replacing old, beloved attractions. I think this is exactly the kind of thing Walt would’ve liked to see in the growth of the parks: New technology and entertainment strategies being implemented to enhance attractions that are already great and well-themed.